SnowPlowPros - Snow Removal, Langley, BC | The best choice for snow clearing in Langley, BC. When you need a snow removal company in Vancouver or the Fraser Valley, turn to the expert team at Snow Plow Pros. We know how to handle even the biggest storms that come your way, all with the customer service you should expect. We give every client, no matter how large or small, the personal attention they deserve. Give us a call to enjoy a hassle free winter. 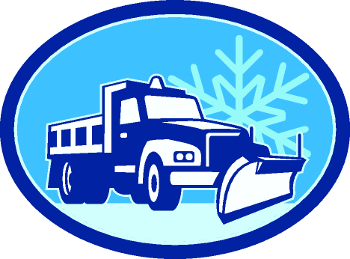 Our fully trained, licensed and bonded operators have all the right equipment for fast clearing of ice and snow from your lots. We have hydraulic plows or bobcats to reduce pavement damage and salt spreaders mounted out back. You can count on us because we're ready to spring into action and have your parking open for business as soon as you are. We are ready at a moments notice. You want to be able to trust the snow removal or clearing contractor you employ to be there for you when you need it. That's only one of our strengths. Reliable, conscientious operators plowing with fully functional, dependable and well maintained equipment gives you exactly what you need to stay open for business despite what winter may throw at you. To serve our clients well, we have to restrict the number of contracts. Don't get caught unprepared. Book us early for snow plowing and clearing and be totally ready for a safe, snow cleared parking lot with full access to your business.